Posted by Nicole Richards on Thursday, July 24th, 2014 at 4:00pm. Want to see what is under the sea? Greater Fort Lauderdale is the only place in the USA where you can snorkel and dive on a living coral reef straight off the beach, without the benefit of a boat. The ocean temperature ranges from 72 degrees in the winter and 80 degrees in the summer months. It washes over three unique lines of running coral reef lines from North to South. The numerous amounts of artificial reefs, together with the abundant amount of natural reefs on the ocean act like a magnet for fish and reef life. Today, South Florida is home to the largest collection of warm water wrecks. Recognized by Scuba Diving Magazine with Top Ten World’s Best awards for Marine life and wreck diving. The variety of fish and critters lurking on the reefs is a beautiful sight to see. For divers, this is wreck heaven! The first reef is about 100 yards from the shore and is at a depth of 20 feet. The second reef is about 2/3 of a mile from shore about 30-40 feet deep. The third reef is about a mile from shore and depth ranges from 50-70 feet. There is shore diving off of Datura Avenue in Lauderdale by the Sea, this area hosts over 300 species of fish. The Shipwreck Snorkel includes authentic anchors, replicas of cannons and ballast piles. Also, Florida has the third largest barrier reef in the world! 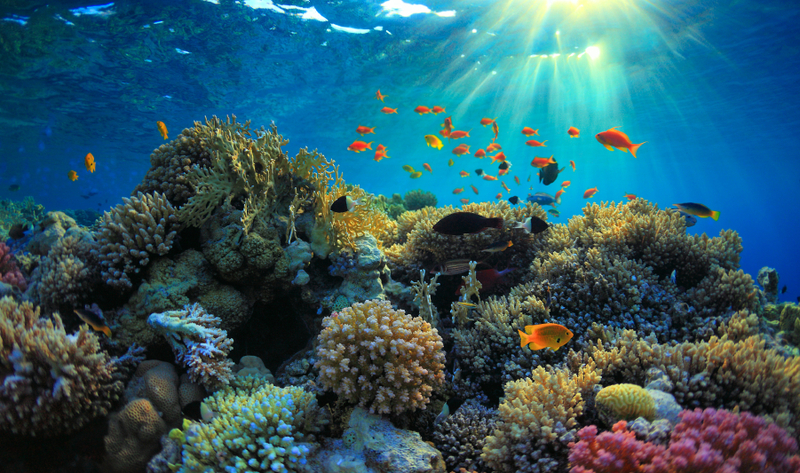 The natural reefs are covered with amazing sea life and incredible structures. The Big challenge is sorting through the never ending of choices of what will we do today? Snorkel, free dive or scuba dive? Reefs or Wrecks? Dive from the beach or from the boat? Drift dive the reef to see the incredible sight or hunt for fish and lobster? For divers, the Greater Fort Lauderdale is a subtropical blue water destination that has a blend of exotic and familiar species. There are plenty of licensed companies that will professionally help you with your aquatic training needs, specializing in water safety, scuba diving and lifeguard training. Enjoy the thrill under the sea!